When I was on a birding tour in Arizona in the early 1990s, our group spotted what looked like a dead raptor hanging from a fence by a strip of red cloth. Several of us jumped to the conclusion that a farmer had killed it. When we looked with binoculars, we saw that it was a Barn Owl, and since few of us had ever had a close-up view of this exquisite bird, we walked over to the fence. As we approached, suddenly the bird fluttered its wings. It was alive! That’s when we realized that the apparent strip of cloth tying it to the barbed wire fence was actually the bird’s bleeding legs. 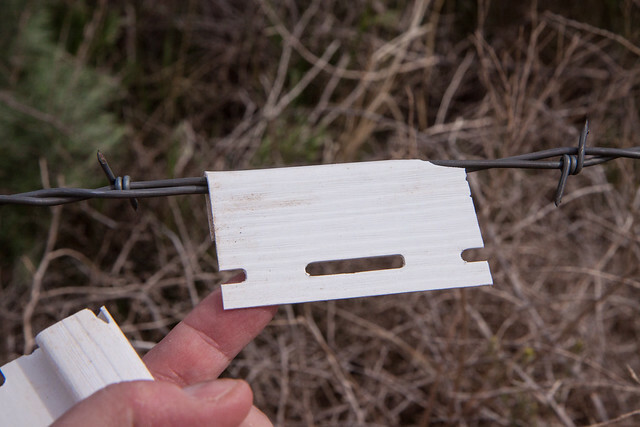 We surmised that while carrying a pack rat back to its nest, one of its dangling legs had been snagged by a protruding barb, slicing a three-inch incision and then catching. 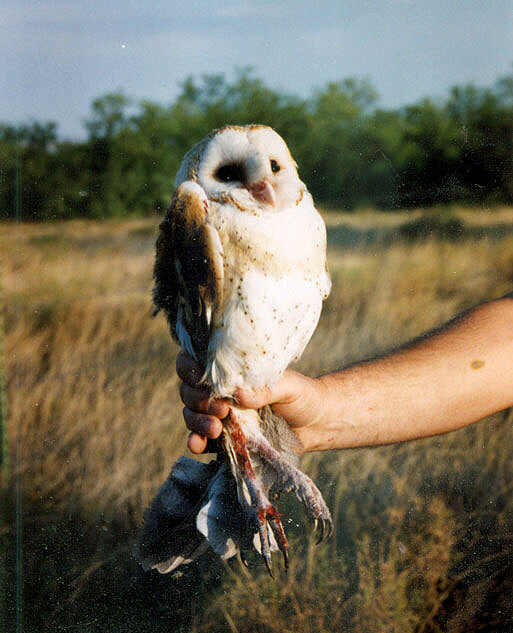 As the owl thrashed, its other leg was scraped and punctured. A couple of us managed to extricate the bird while our friends emptied out a Styrofoam cooler and punched large holes in the top. 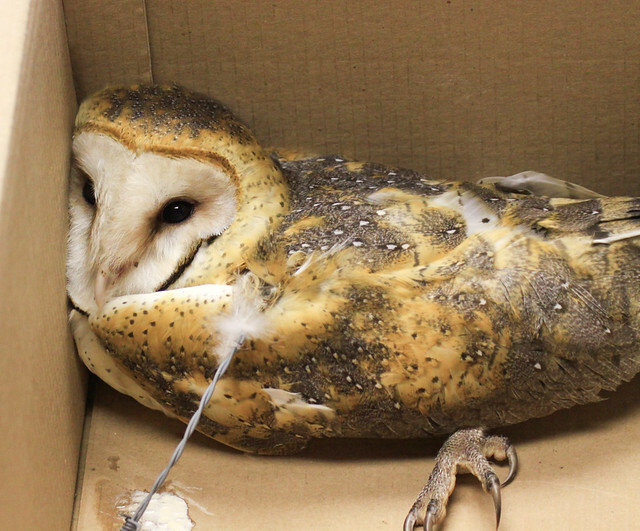 We put the owl inside and got it to a nearby veterinary clinic. The wounds required stitching, and the bird needed steroid ointments and antibiotics, but two days later it was well enough to be released where we found it. Most birds in this predicament are not found in time to be rescued, and the situation was not a fluke. 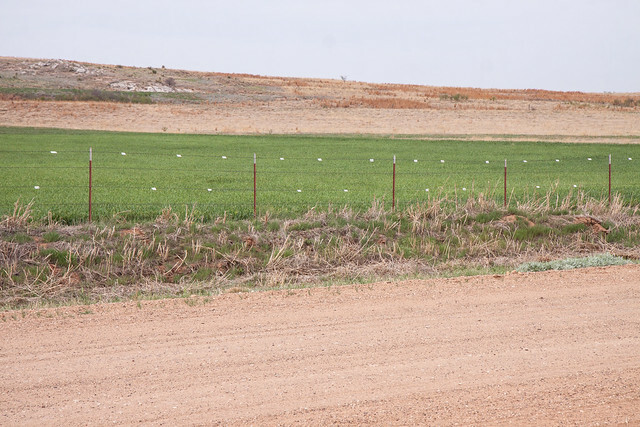 Collisions with fences are a significant cause of mortality for some species, particularly grassland gallinaceous birds. 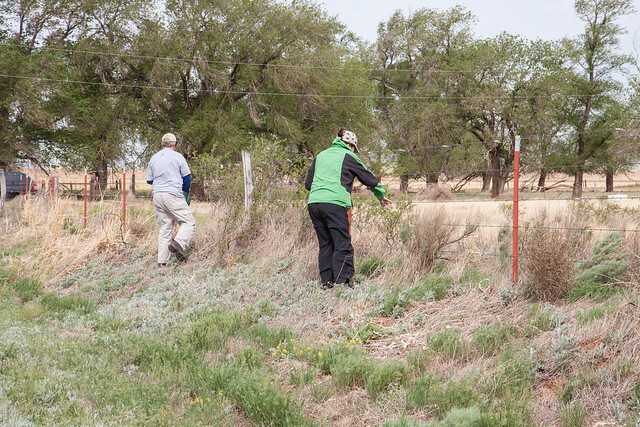 In one study of radio-tagged Lesser Prairie-Chickens, over 25 percent of adult bird mortality was due to collisions with fences. 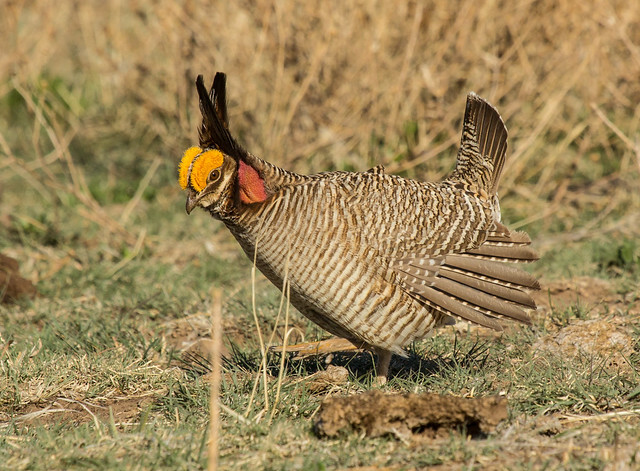 Indeed, this is the primary cause of mortality for female prairie chickens. Prairie chickens and Sharp-tailed Grouse are accustomed to walking through grass, which is soft and pliable. Their first encounter with a fence is usually their last. Fences can serve valuable functions for people. 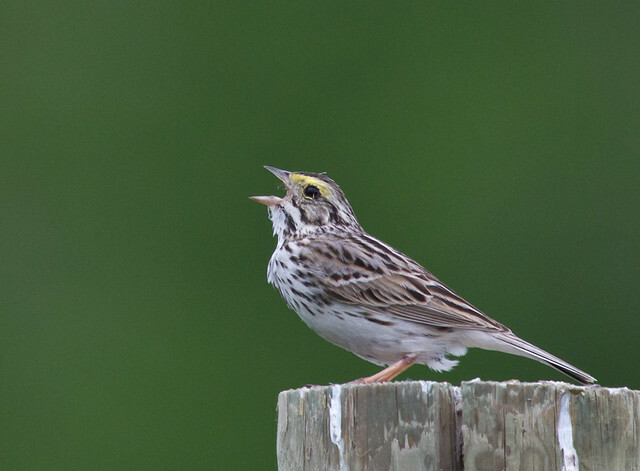 And birders often like fences because so many grassland sparrows use them as perches. But when open habitat is no longer grazed or a fence is no longer necessary for another purpose, it should be removed. I wrote about fences and owls on this blog post.